Mediaspectrum, Inc.® today announced the new release of Adrenalin, built for newsrooms that require a highly customizable and automated solution for publishing to iPads, iPhones, Android devices and Kindles. Publishers can now create mobile news apps and ePaper editions for their publications across more devices with minimal production overhead. Adrenalin content layouts are template based, supporting InDesign as well as HTML5 templates. HTML5 provides publishers with ultimate flexibility in customizing their offerings by introducing unique features such as story views, interactive puzzles, videos and photo galleries. The system also supports interstitial and supplemental advertising using custom-designed HTML5 layouts enriched with hyperlinks and dynamic design elements. Publishing content through Adrenalin is simple with all content types catered for; stories, photos and videos can all be published through the solution. Adrenalin can be implemented as an integral part of Mediaspectrum’s ContentWatch, a leading enterprise content management system for publishers. Alternatively, the solution can run independently; automatically importing news feeds from other third party solutions through XML and RSS feeds. 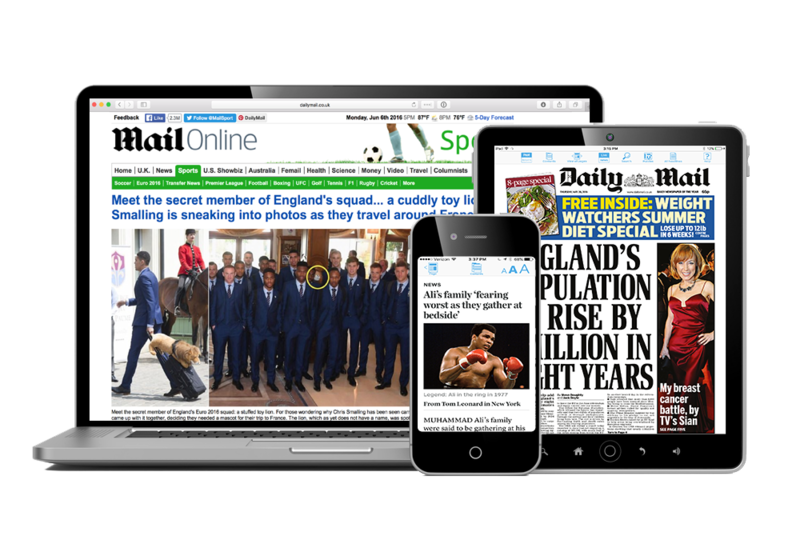 The new release has been deployed successfully at the Daily Mail, the world’s largest English-language newspaper website. Integrations into additional Mediaspectrum customer environments are further planned throughout 2016. Mediaspectrum is the premier technology for companies seeking to plan, execute, publish and analyze advertising and content across the media spectrum. Our 100% cloud-based platform provides a unique environment to consolidate and achieve these objectives, streamlining processes and managing content in order to reduce costs, increase revenues and improve the customer experience. Mediaspectrum is a Miami-based company with additional offices in Boston, London, Moscow, Sydney and Zug. We are found on the Web at https://mediaspectrum.net.